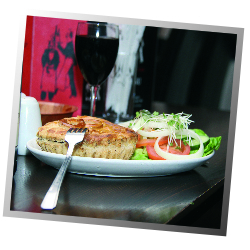 Sweeney and Todd restaurant in Reading Berkshire is famous for our award winning pies and one of the best places to eat out in Reading. Established 40 years Sweeney and Todd is a Reading institution. If you have not yet tried the Sweeney and Todd famous award winning pies you have not lived. Ask our customers! Sweeney and Todd Celebrates its 40th Birthday! 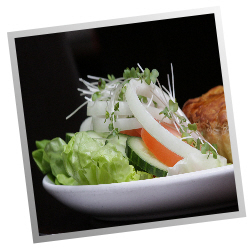 Sweeney & Todd is one of Readings oldest and longest established restuarants. Saturday 26 May 2018 - our 40th Birthday. ... come along and celebrate with us. ... and join many of our long standing customers who love our pies! Sweeney & Todd restaurant is in Castle Street, Reading, Berkshire. The restaurant can seat up to 100 people in either open space restaurant or comfortable and cosy cubicles and alcoves. Sweeney's offers and warm inviting setting in which to relax and enjoy a great meal out with family and friends. The shop at the front of Sweeney and Todd's offers our wide range of pies, pasties, sausage rolls, scotch eggs, free range eggs and cold meats. A warm friendly service is guaranteed which is why so many of our customers come back so regularly. Where are we? You can find Sweeney's in Castle Street, Reading. Pay us a visit for great food and a warm welcome. Follow us on Twitter for updates, special offers and other news from Sweeney's.